The end of the year is here and it's almost time for you to go. As always it's that time of year where I reflect on the year and everything that has happened...both good and bad. I am usually filled with excitement and a little bit of fear during this time of year. You know it's a bit funny how being excited and afraid mixes well. I'm excited for the new year and the possibilities, but I'm also afraid of what can happen during the next year. As always, I wind up getting hit with a bit of sadness as I say farewell to the current year. 2018, you were one hell of a year. And I mean that in a good way. I've learned so many things especially about myself. You were the year that made me realize that I really have to start taking better care of myself. Self care was so important for me this year. This year, I became a mommy again. I'm so grateful that I have three sons. I always wonder how did I get so lucky to find the love of my life and have three amazing sons. Speaking of motherhood, things didn't go as planned when it came to my pregnancy. It was so much harder this time around. It was also full of surprises. I would have never thought that I would give birth at 35 weeks. To say that I was afraid would be an understatement. I was terrified. And then I was heartbroken when I found out that Raphael would have to stay in the NICU while I was discharged from the hospital. Although my boy was able to come home in just a couple of days, I was so worried and felt like I failed him as a mother. I still wonder to this day, what caused me to go into labor so early. The doctors say that I didn't do anything wrong and that sometimes it just happens, but I still want to know. I'm so incredibly grateful for the nurses and doctors who tended to Raphael and I. Those doctors and nurses were so amazing, kind, and so patient. This year, I learned that it is ok to cut off toxic people and that includes family. This was a hard lesson for me to learn, but a very important one. I still wish them the best. This year, I cried...a lot. Both tears of joy and tears of pain. I learned that it's ok to cry. In fact, crying helped reduce my stress. I think sometimes you just need to have a good cry. This year, I didn't really feel like a great friend to many people. All of my friends are so understanding, but I'm hoping that next year I'm able to see my friends a bit more. This year, I'm proud of my creative accomplishments. I'm proud of the projects that I have worked on. I accomplish my goal of being published in a magazine...twice! I'm also proud that I took some time off to work on some personal projects. Being able to make things just for me was just what I needed and really helped me get out of my comfort zone. My word for this year was Grow. 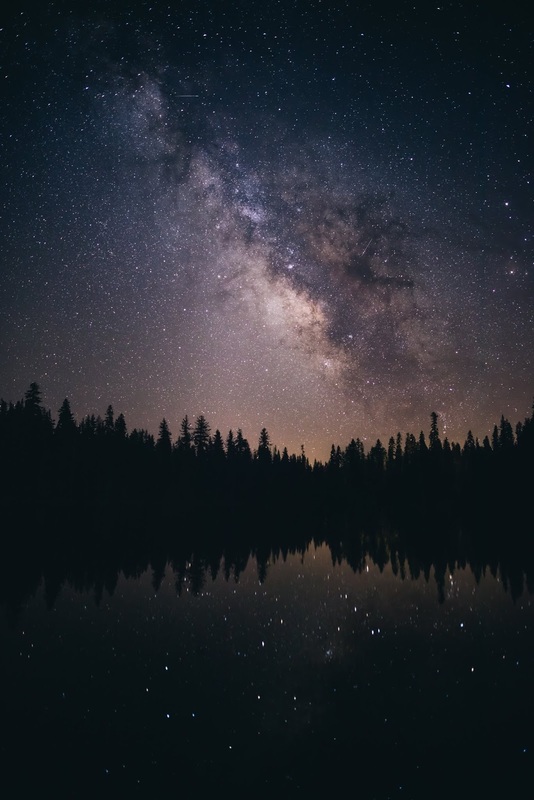 I wanted to grow as a writer, as a creative, and as a person. And I certainly believe that I did just that. I hope to continue on this path of growth in the new year. I hope that next year I am able to grow even more in these areas of my life. 2018, you were amazing and full of surprises. It's time to go and make way for the new year, but I'll never forget you. Happy Friday! 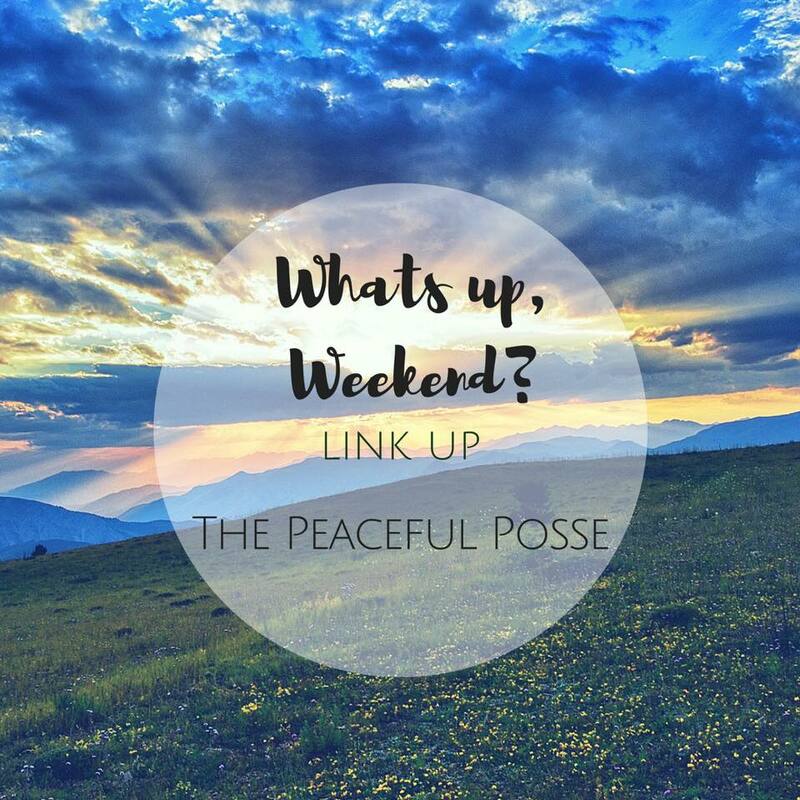 Today I'm linking up with Charlotte, Lindsay, and Beth for their weekly happy and grateful list link up. What made you happy this week? Ever since Babies R Us went out of business, I have been going to Target for all of our baby needs. I can honestly say that we would only go to Target maybe once or twice a year. Going to Babies R Us was just convenient for us. However, I am now a big fan of Target and I can see why so many people love this place. I've been going to Target a couple of times a week and have been finding some really cool stuff. I thought it would be fun to make a new series for my blog called "Target Finds". The series is simple...I will just share items (mainly new-to-me) on the blog. Let's see what I found at Target this month. I was really excited to try these. Everything is in the cup and all you have to do is add your liquid and ingredients into your blender. Then you can pour everything back into the cup. These smoothies are perfect for the morning or for a snack/drink after a workout. I only tried "Rise" and "Energy", but there are other flavors available. I think I may try their green smoothie next. I haven't tried the individual chocolate covered pretzels or the marshmallow cocoa toppers because I plan to put these in our stockings. I think they would make perfect stocking stuffers. I tried Target's Rudolph Trail Mix before so I was so excited to find it again this year. The caramel corn clusters are so good and I love that there are bits of dark chocolate sea salt mixed in. I haven't tried the white drizzle pretzel rods because I plan to put these in our stockings as well. I am obsessed with Belgian Boys' Mini Stroopwafels. They are so good. I love that they come in individual packages. It's perfect for packing in a purse or backpack. I usually put one or two in my diaper backpack. It's also perfect if you're craving something sweet. I followed the suggestion that was listed on the package which was to place on stroopwafel in a hot drink. I placed one in my hot chocolate and it was delicious. Overall, I'm very happy with everything that I found at Target. I was able to save on all of these items by using the Cartwheel app. I can't wait to find some more new things at Target. Do you like to shop at Target? What have you found at Target lately? Happy Wednesday! Last month, I accomplished my reading goal and read one book. I read Lin-Manuel Miranda's new book, Gmorning, Gnight! I was so excited to read this book and check out Jonny Sun's illustrations. Gmorning, Gnight! was such a great read. The book is filled with poems, advice, and original sayings by Miranda. I was surprised to find out that he got the idea to inspire his followers on Twitter by sharing words of encouragement. He decided to gather some of his popular greetings and sayings and compiled them into a book. The photo above is one of my favorite sayings/words of advice from the book. In fact, I came across this page while flipping through the book at Barnes and Noble. I was instantly hooked and had to buy the book. I loved Jonny Sun's illustrations. They all went perfectly with Lin-Manuel's words. I really hope that they work together soon and make another book. What did you read in November? What do you plan to read this month? Happy Tuesday! It's been a while since I received a voxbox from Influenster so I was pleasantly surprised when I received one in the mail. 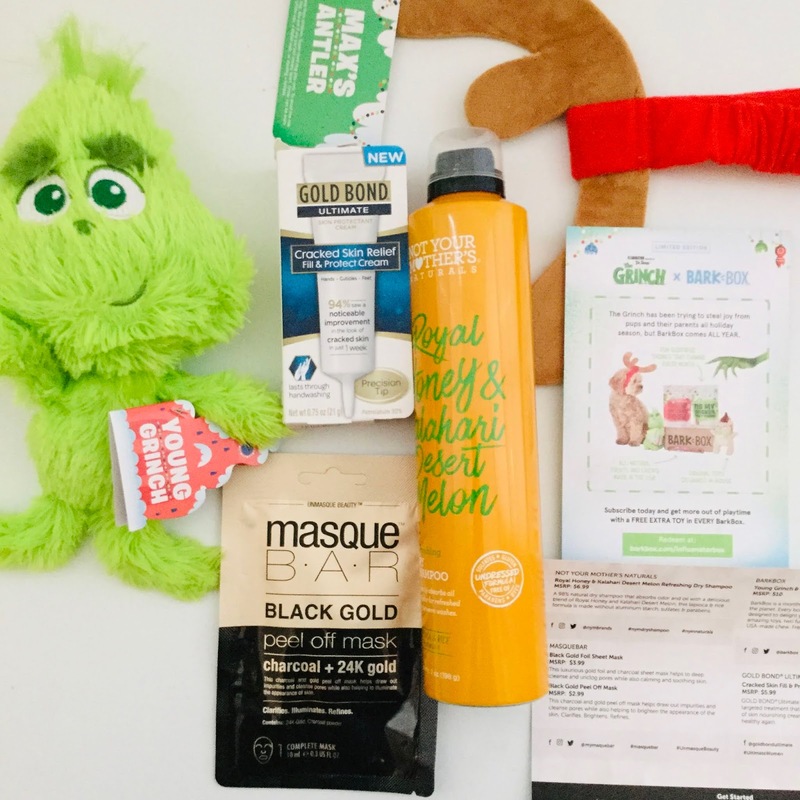 I received the Let It Snow VoxBox and it was filled with products for everyone in the family including pets! I don't use dry shampoos and I'm not really a fan of them. I tried a brand of dry shampoo a year or so ago and I was not impressed. I haven't tried this dry shampoo yet, but I really do like the scent. I'm actually excited to try this one because I have read great reviews of their products. I've also tried one of their regular shampoo and conditioner so I'm hoping that this dry shampoo works well. I'll be honest...I was so scared to try this because I've watched videos of people having a hard time taking off charcoal masks. Despite being hesitant to try the mask, I'm glad that I did because this mask is amazing! It was easy to apply and very easy to take off. All you have to do is peel (never pull) the mask off. This mask left my face feeling soft and smooth. I don't have a dog, but these two items are just too cute. The Grinch is a squeaky toy and the antlers are perfect for dressing up your pet. I will be giving these two items to a friend and I'm sure that her dog is going to love it. I was so excited to try this cream. This is great for winter or if you work in a profession where you have to wash your hands frequently. This cream made my hands feel soft and not sticky. The cream is thick and lasts even after washing your hands. Have you tried any of these products? What are some of your favorite products? DISCLOSURE: I received the products described in this post complimentary for testing purposes from Influenster. All opinions are my own and no compensation was received. Happy Thursday. 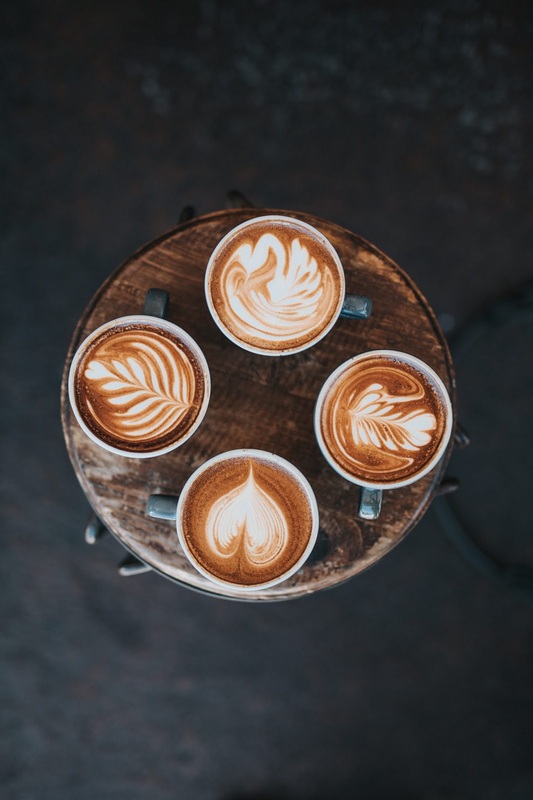 Today I'm joining Lecy from A Simpler Grace for a little virtual coffee chat. We would meet at Barnes and Noble or a local bookstore. We would get some coffee. I would most likely get a toasted white chocolate mocha and a pastry or sandwich. We would be very happy to be indoors because it is way too cold outside. I would tell you that I have been incredibly stressed and feeling overwhelmed. I keep trying to do too much in so little time. My to-do list is piling up and I haven't really been taking care of myself as much as I would like. I'm realizing that everything does not need to be perfect and it's ok if I have to put things off. I'd tell you that I am excited for the new year. Even though I have been stressed, there are so many things that I am looking forward to. I have so many realistic goals and I can't wait to share them soon. I would tell you that I have been feeling like a horrible friend. I haven't been able to catch up with a lot of friends and I have also had to cancel a lot of plans. All of my friends are so understanding, but I still feel horrible. I would tell you that I am so over the cold. I know it's still fall, but I consider the day after Thanksgiving to be the beginning of winter. I am so ready for Spring. Maybe I've been feeling a bit down because of the cold weather. I would tell you that I am so excited for Christmas. It will be Raphael's first Christmas and we are excited to make some new memories with the newest member of our family. I would tell you that I have been devouring all of the holiday treats and baked goods. I've been downing hot chocolate like there's no tomorrow. Right now, I am all about the holidays. What would you tell me? The holidays are upon us! I'm sure many of you have already started your holiday gift shopping. Many of you know how much I love Crayola and their products so I just had to share some really cool products that would be perfect for gifts. The Ultimate Light Board is such a fun and easy to use product. You just simply draw your art directly onto the surface and then turn it on. There are LED lights that are built into the frame of the board and it makes the gel FX markers glow. You can also use the removable black panel to trace images. The light board is easy to clean...you just simply wipe it down. 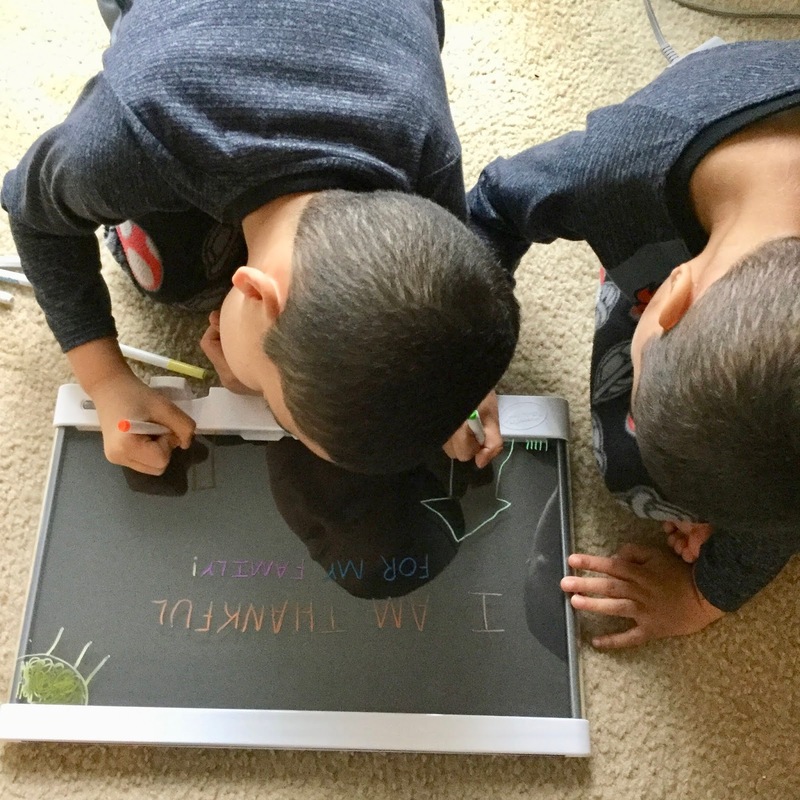 My boys had so much fun using the light board and said that it is their favorite. 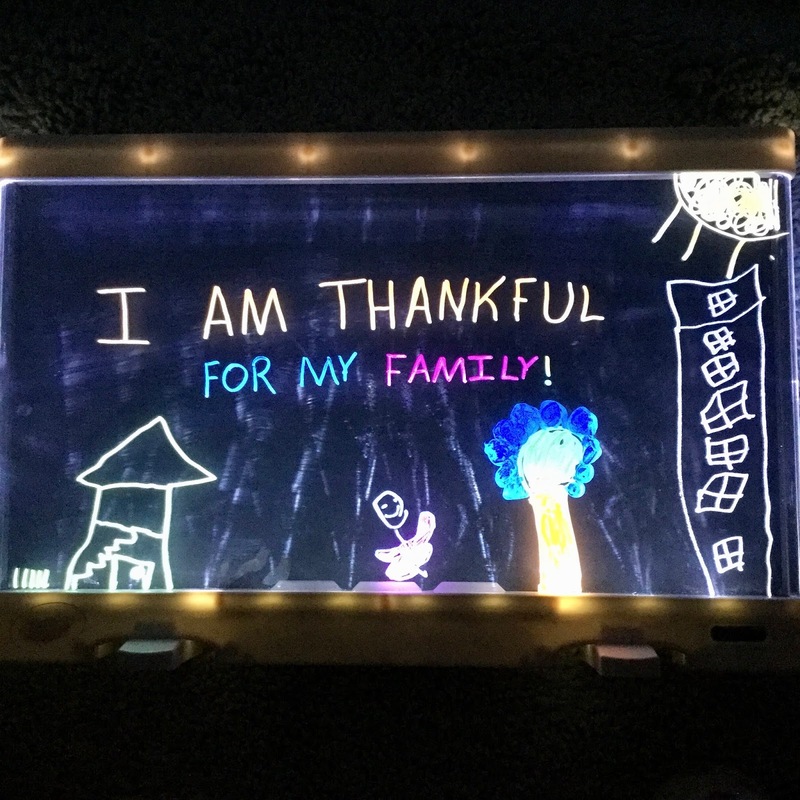 We used the light board to write what we were thankful for on Thanksgiving. Check out the images below. You can purchase the Crayola Ultimate Light Board here. This color chemistry lab set is perfect for children who love science experiments and activities. It's really fun for the entire family. The set comes with an instruction booklet that has 50 science activities. There are enough Crayola supplies to do 16 of the experiments right from the box. I love that the science experiments were approved by real Crayola scientists. This is such a fun and educational gift. Adult supervision is required, but trust me you will have so much fun working on the activities. You can purchase the Crayola Color Chemistry Lab Set here. Which Crayola product is your favorite? Disclosure: I did receive these products for free in exchange for my honest review. All opinions expressed here are my own. As always, I only recommend products and services that I have personally used. Happy Tuesday! Oh my goodness! It's December! I still can't believe how fast November came and went. This year will be over before we know it. Read 1 book: I read Gmorning, Gnight! by Lin-Manuel Miranda. It was such a great book. Jonny Sun illustrated the book. I loved the little pep talks and poems. I will post a review soon. Clean out the trunk of my car: This was a fail...again! It will get done this month. I really want to have the trunk of my car cleaned out before the end of the year. Make Christmas cards: I didn't get any cards done. However, I have worked in my Autumn Stories travelers journal. I also made some Christmas embellishments for my 30 Days of Lists travelers notebook. Continue to work in my journal: I did work in my journal, but not as much as I wanted to. I had so many little projects to work on so I tried to divide my "me time" on them as equally as possible. What are your goals for December? Happy Monday! Oh my goodness...it's finally December! Christmas is almost here and the year is almost over! Can you believe it? 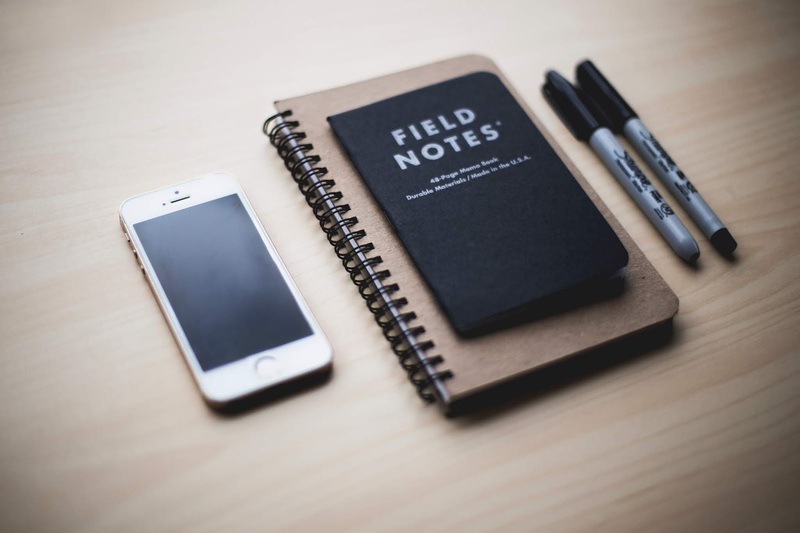 Today I'm linking up with The Blended Blog for TBB Asks. 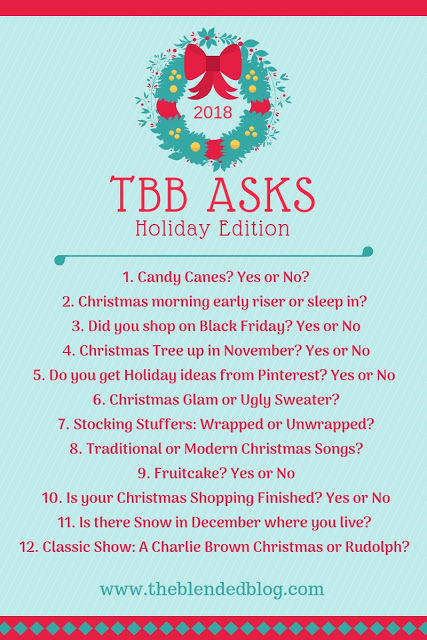 TBB Asks is a monthly questionnaire link up series. 1. Candy Canes? Yes or No? Yes, but I don't really eat candy canes anymore. I love to put them on my Christmas tree. 2. Christmas morning early riser or sleep in? Early riser since I have children. When I was a kid (and even now), we celebrate Christmas on Christmas Eve. Christmas Day was our recovery day. We did go shopping on Black Friday this year. We had a few gifts that we wanted to make sure that we were able to get. Last year, I went to Michaels to get a new planner and a gingerbread house. Going to Michaels and Barnes and Noble has become a tradition. When I was younger, we would put the tree up in November. For the past few years, we've put it up in December. Nope. I'm really bad at checking Pinterest. It's been a while since I checked out Pinterest. 6. Christmas Glam or Ugly Sweater? Definitely Christmas Glam. I tend to have a super laid back wardrobe and basically live in T-shirts, leggings (or yoga pants), and sneakers so it's nice to dress up. 7. Stocking Stuffers: Wrapped or Unwrapped? Unwrapped. Do people actually wrap stocking stuffers? 8. Traditional or Modern Christmas Songs? I've never had a fruitcake and I don't think I will ever try one. They don't look really good. 11. Is there Snow in December where you live? I wish...we have gotten a tiny bit of snow before, but nothing like the snow that NYC gets. Oh how I miss living in New York City during Christmas time. 12. Classic Show: A Charlie Brown Christmas or Rudolph? Both. They are both such great shows.